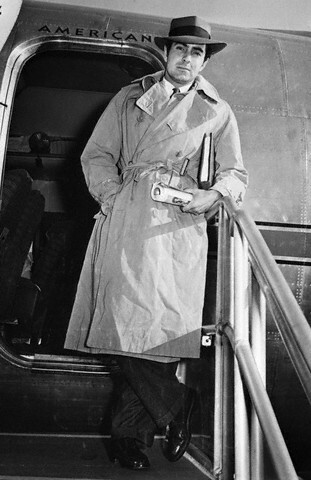 Designed to suit the needs of a soldier on the battlefield, the trench coat has evolved into a staple for stylish civilians.The trench coat. No other item of outerwear embodies the understated yet self-assured vibe of our Parisian style fantasies. Can you imagine Catherine Deneuve, Francoise Hardy or Jane Birkin strolling around the 4th arrondissement in anything else? 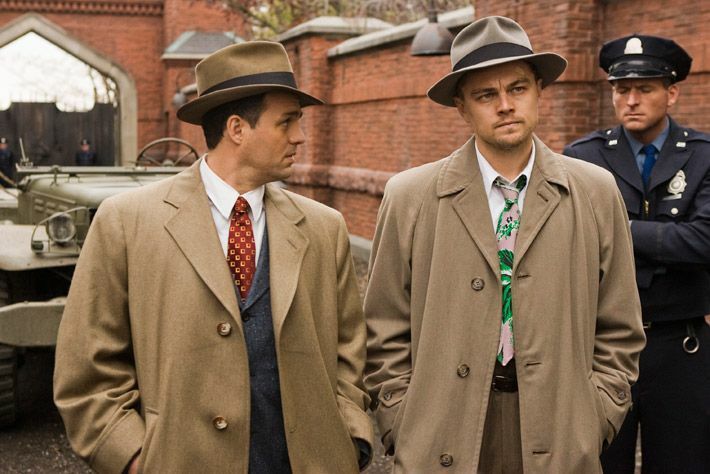 But like Birkin, the trench coat isn’t actually French – it’s a British invention. 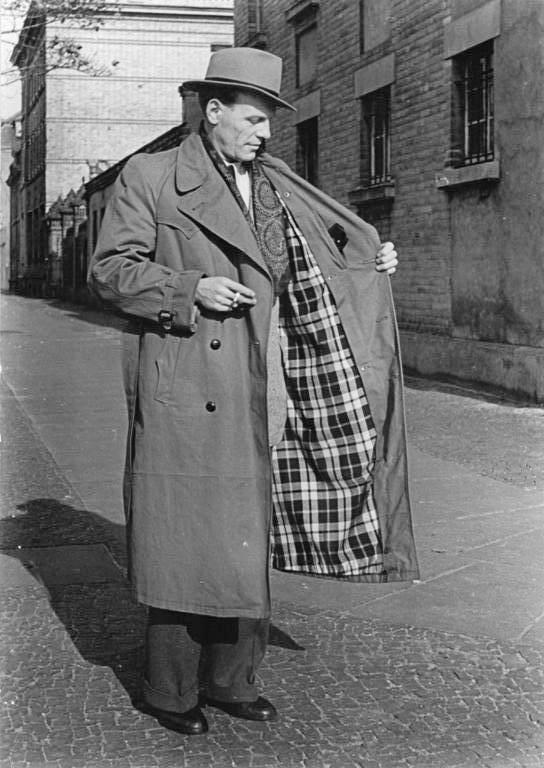 Thomas Burberry, a former draper’s apprentice, developed gabardine – a rugged, water-resistant twill – in Basingstoke, Hampshire in 1880. After submitting a design for an army officer’s raincoat to England’s War Office in 1901, he was commissioned to create a gabardine coat for the British Army’s officers serving in the Boer War in South Africa. By World War I, Burberry’s design had been perfected. Shoulder epaulets allowed officers to attach rank insignia without damaging their coats. Button down storm flaps prevented water seeping down into the soldier’s coats after firing their rifles and a D-ring was attached to the the belt in order to carry a firearm or sword. Worn by half a million British troops while fighting at the front, the name “trench” stuck. The tried-and-tested military design elements remain unchanged to this day. Used again by soldiers fighting in the harsh European winter battlefields of World War II, the style was adopted by Hollywood celebrities and volunteer entertainers performing for the troops overseas. Demobilized, the coat quickly became synonymous with every 1940s film noir protagonist and his beautiful, but conniving femme fatale. Remaining the company’s best-selling item to this day, Burberry celebrated the 97-year-old fashion icon by launching Art of the Trench, a photo-sharing website described as “a living document of the trench coat and the people who wear it. 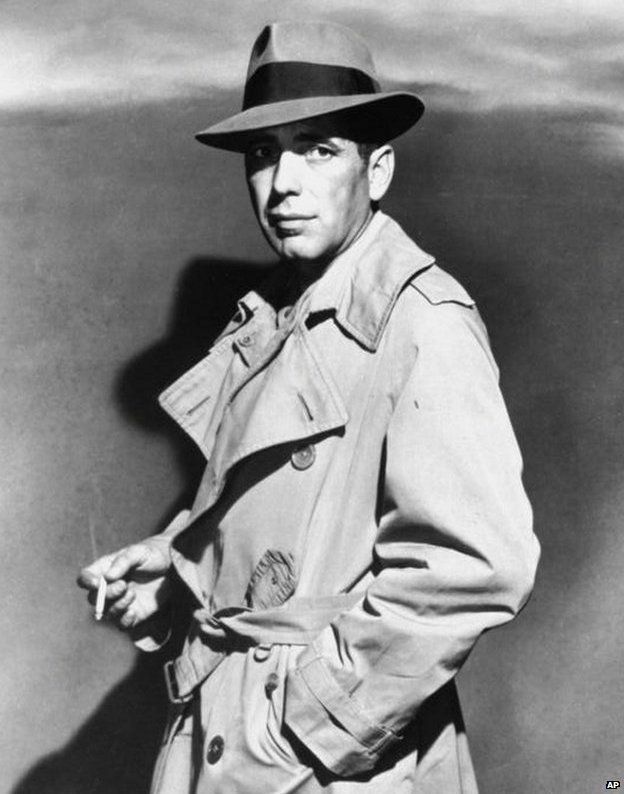 From Humphrey Bogart to Audrey Hepburn and Kate Moss, the trench coat is now synonymous with elan and sophistication. Clocking up countless appearances on the silver screen and in the glossy pages of fashion magazines, it is considered a timeless wardrobe essential. But while today it adorns the shoulders of supermodels and celebrities, it seems – despite the heavy clue in its name – its origins in bloody battlefields may be less well-appreciated. “If you read articles about ’10 items everyone should have’ the trench coat will probably feature along with a pair of jeans and a leather jacket,” says Amber Jane Butchart, author, blogger and associate lecturer in cultural and historical studies at London College of Fashion. “It’s become a perennial classic. As World War One took a stranglehold on Europe, the Allies and opposition German forces dug deep with defensive lines stretching from the North Sea to the Swiss border. There in the trenches as the onslaught raged were the soldiers – caked in mud and battered by biting winds. Their heavy greatcoats – long wool overcoats which had been regulation garments for British forces since the Crimean War of the 1850s – proved ill-suited to the desperate conditions. 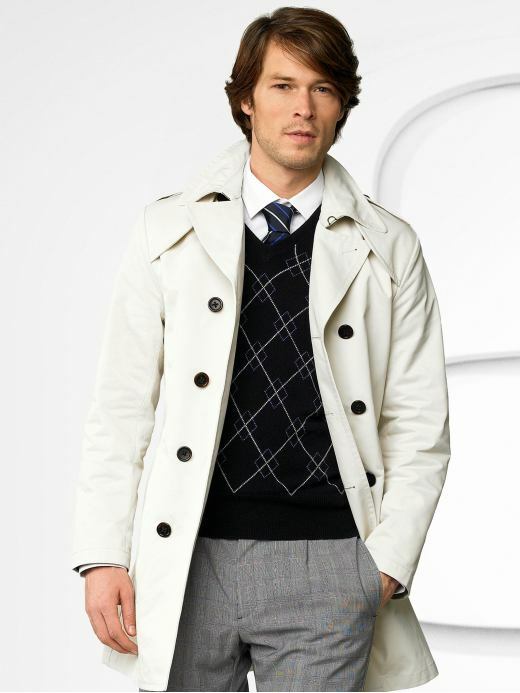 In contrast, the lighter, shorter, waterproof coat produced by English clothing companies such as Burberry and Aquascutum was a perfect fit. But they were not its only practical benefits. Epaulettes displayed an officer’s rank, while a gun flap buttoned at the chest was designed to provide an amount of additional protection when in combat. Map cases and other equipment were attached to D-rings on the belt, and covering the upper back area was a storm shield that enabled water to run off the coat cleanly. Their subdued colour, too, played an important role. “It became imperative for soldiers to not stand out,” says Ms Butchart, who is writing a book examining the links between military wear and fashion. “Khaki is the Hindi word for dust. Before that, military clothing was incredibly brightly coloured. “For centuries you needed to recognise the side people were on very easily, so colours like blue and red that were quite easy to dye relatively cheaply got used a lot in European uniforms. 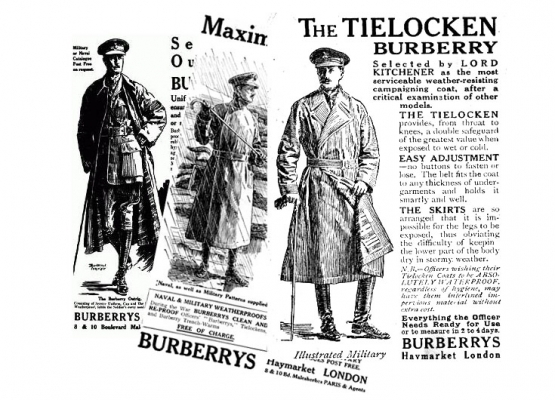 The coats were first used in the Boer War in 1895 – Burberry developed them further and supplied about half a million during World War One. 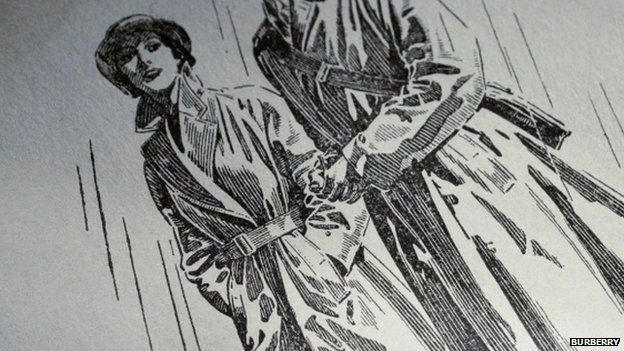 This entry was posted in Fashion+Style+Beauty, History and tagged coat - English-French, French Coat: The History Of The French Coat, History of the Burberry Trench Coat, The trench coat's forgotten WW1 roots, Trench coat, trench coat history burberry, What is the French word for coat?, Women's Trench Coats. Bookmark the permalink. very informative. thanks I had a old over coat I’ve had for years. As I began to up grade my wardrobe I finally looked at the label turn out it was custom made for my grand father in England﻿. Breakfast at Tiffany’s they wore chic trench coats﻿. trench coat seems like a serial killer coat to me. Too wannabe mafia gangster﻿. I went to a Burberry training about the Gaberdine trench coat and the reason behind the gun flap before was because when they would shoot their rifles during the war, the kickback of the rifle ends up ruining their coats, so the gun flap was made and was actually replaceable so they wouldn’t have to fix the whole coat, it was a quicker way so they could use their trench coat right away. The extra layer is there because during the war, the most exposed part of the person is the back, they added that for extra protection against the rain. 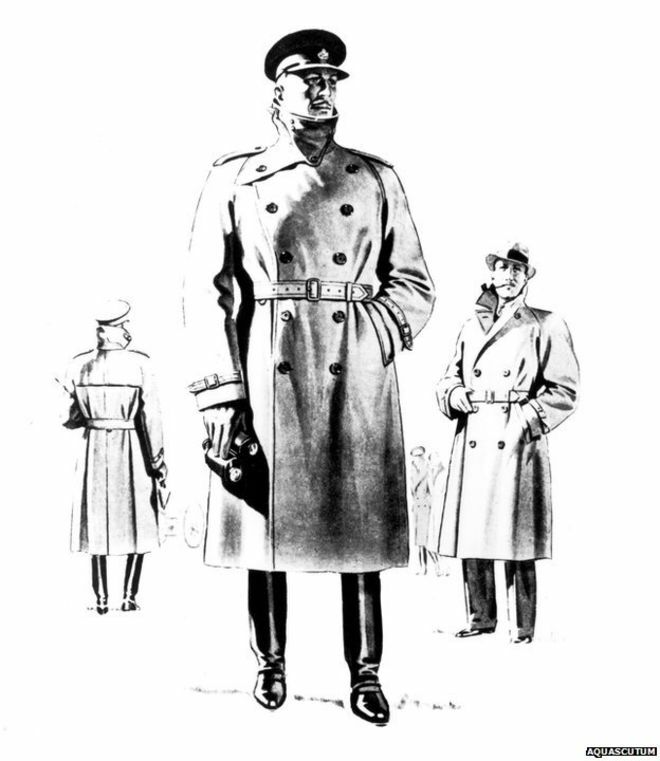 I like the Burberrys’ trench coats because they have that military style. 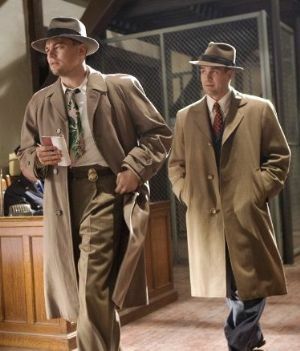 I like to have my trench coat buttoned and belted but at times I have worn it opened. 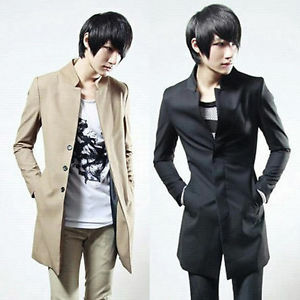 I like trench coats but Burberry’s are expensive. I have a Burberry trench in dark blue and I get so much wear out of it. Great coat! the color, the style the cut, it’s all amazing.